Small and medium sized businesses received a bit of attention from the Government in this year’s 2018-19 Budget. Making it all the way to number 2 on the Government’s priority list of ‘must-do’s’, the Government stressed that it must “keep backing business to invest and create more jobs, especially small and medium sized businesses”. With that said, a handful of measures were announced to support these businesses in Australia. If you are a small or medium sized business owner, we’ve listed a few of the key Budget measures, tax breaks and outcomes that may directly impact you. Do you own a small business? Have you been planning any significant purchases? If so, the great news is: you have another 12 months to take advantage of the $20,000 instant asset write-off scheme! This tax break only applies to small businesses with an aggregated turnover of less than $10 million. This Budget initiative means that as a small business owner, you get to improve your cash flow and boost your business activity and investment for another year. Note: On 1 July 2019, the threshold will reduce to $1,000 so get shopping! If you buy an asset to use for business purposes and it costs less than $20,000, you can immediately deduct the business portion of the cost in your tax return. This deduction is used for each asset that costs less than $20,000. You would then claim the deduction through your tax return, in the year the asset was first used or installed ready for use. Jane owns a plumbing business. She buys five new laptops for her employees. Jane can take advantage of the $20,000 instant asset write off for all of these items because each individual item costs less than $20,000. Jane also buys five second-hand mobile phones for her employees. The mobile phones are 50% for personal use and 50% for business use. This means only half the full amount of the iPhone can be claimed. You can use the $20,000 instant asset write-off multiple times. However, each one must cost less than $20,000. Don’t forget that purchases will only qualify if they total $19,999.99 or less, including GST! If you earn less than $90,000, you can expect some tax relief in the form of a new low and middle income tax offset and changes to personal income tax brackets. This offset will provide tax relief of up to $530 to low and middle income earners for the 2018-19, 2019-20, 2020-21 and 2021-22 income years. This offset means around 4.4 million people will receive the full $530 benefit for 2018-19. Note! The benefit is in addition to the existing low income tax offset and will be available on assessment after a you lodge your tax return. What are your savings per year? When the low and middle-income tax offset concludes in 2021-22, the benefits will be locked in by increasing the top threshold of the 19% tax bracket from $37,000 to $41,000 and increasing the low income tax offset from $445 to $645 from 1 July 2022. From 1 July 2022, the top threshold of the 32.5% tax bracket will be increased from $90,000 to $120,000, providing a tax cut of up to $1,350 per year. How does this impact small and medium sized businesses? The immediate relief for low and middle-income earners will be a significant benefit to the nearly 40% of small businesses that are unincorporated. There will be some tax changes for your employees, so now is the time to review your payroll software, PAYG withholding tax and business processes. Single Touch Payroll is coming on 1 July 2018! If your business has 20 or more employees, you’ll need to report payments such as salaries and wages, withholding and super information to the ATO directly from your payroll solution at the same time you pay your employees. Speak to your payroll software provider or your tax adviser to find out how you can be compliant. Do you currently claim research and development (R&D) on your tax? If so, here are some changes to the R&D tax incentive that may affect your business, depending on your business’ aggregated annual turnover. From 1 July 2018, the Government will introduce a new R&D premium for companies which provide higher rates of R&D support for higher R&D intensity. The R&D premium will provide multiple rates of non-refundable R&D tax offsets, increasing with the intensity of the claimant’s incremental R&D expenditure. The R&D tax incentive will be capped at $4 million on cash refunds. Amounts that are in excess of the cap will become a non-refundable tax offset and can be carried forward into future income years. This means that for small businesses, there will be a reduction in the offset available and may impact your decision as a small business owner in undertaking and relying on the R&D tax incentive. Note! The ATO are cracking down on dodgy R&D claims. In particular, they are closely watching businesses that abuse the incentive by claiming ordinary business costs as R&D expenses. Tip! If you are worried about your R&D spend, speak to your tax adviser to find out more. And don’t forget to keep all your records and documents! If you are in the habit of making cash payments when you conduct business, you may need to start considering using alternative methods of payment. The Government is seriously cracking down on cash payments over $10,000. The end of the financial year is looming – it really is that time of year again. Tax time is always busy so we’re sharing a few quick tips to help you sail through lodgment season. expenses you can claim as a business deduction such as staff wages, contractor expenses, operating expenses and business travel expenses. If you changed your record keeping software during the year, check that all your information has transferred over correctly. Even if your income is below the tax-free threshold, you still need to lodge a tax return. Do you pay PAYG instalments? Lodge your activity statements and pay all your PAYG instalments before you lodge your tax return so your income tax assessment takes into account the instalments you’ve paid throughout the year. any other assessable income, such as salary and wages (shown on a Payment Summary), dividends and rental income. The partnership doesn’t pay income tax on the income it earns. Instead, you and each of the partners pay tax on the share of net partnership income you receive. If you operate your business through a trust, the trust reports its net income or loss (this is the trust’s income less expenses and deductions) and the trustee is required to lodge a trust tax return. As a trust beneficiary, you report on your individual tax return any income you receive from the trust. If you operate your business through a company, you need to lodge a company tax return. The company reports its taxable income, tax offsets and credits, PAYG instalments and the amount of tax it is liable to pay on that income or the amount that is refundable. The company’s income is separate from your personal income. 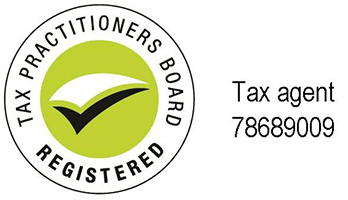 Registered tax and BAS agents can help you with your tax. Enhancements in technology and data matching mean the ATO is able to detect people and businesses operating outside the tax system this tax time. The ATO are keeping a watchful eye and looking out for behaviours, characteristics and tax issues that may raise questions and attract their attention. Situations where an employer-provided motor vehicle is used for private travel of employees. This constitutes a fringe benefit and needs to be declared on your FBT return. Note! There are circumstances where this benefit may be exempt, such as where the entity was tax exempt or the private use of the vehicle was exempt. the rate of return received by the superannuation fund from its investment is not consistent with an arm’s length return. There’s still time for you to take advantage of small business tax concessions before the end of the financial year. If you buy and install business assets by 30 June that cost less than $20,000 each, you can deduct the business portion in this year’s tax return. You can claim a deduction this year if you prepay an expense that will end in the next financial year, for example, the rent for your business premises or an insurance policy. Do you need to do a stocktake? If you estimate that the difference between your opening and closing trading stock is $5,000 or less, you don’t need to do a stocktake. Instead, you can include the same amount for your opening and closing stock in this year’s tax return. Here is a list of the small business tax concessions that may be available to you. Tip! Speak to your tax adviser to find out which concessions you can tap into. Contributions of small business CGT concession amounts to your super fund. The Board of Taxation – an advisory body tasked with improving the design and operation of tax laws – will be conducting a review of Australia’s small business tax concessions. The Board is encouraging small business owners and advisers to have their say in the review process. identify areas in which concessions that are less effective, or not well targeted, could be removed or scaled back to generate savings that can be redeployed in areas where they may have a greater impact. The Board will make recommendations to the Government on how to efficiently target on the quality and effectiveness of tax laws and advise on the general integrity of the system. Advice will be provided to the Government in October 2018. If you’re interested in participating, visit the Board of Taxation website or get in touch with your tax adviser! The deadline for your input is on Friday 20 July. The consultation guide can be found on the Board of Taxation website. Do you need to pay payroll tax? If you are an employer you may have a payroll tax obligation. Payroll tax is a state and territory tax on the wages you pay as an employer. Payroll tax is calculated on the amount of wages you pay each month and payable in the state or territory of Australia where the services were performed. Not all businesses will have a payroll tax obligation. You only have to pay it if your taxable wages (or your group wages) exceed the threshold in your state or territory. Each state or territory has a different tax threshold as well as registration process. Find out what the threshold is in your state or territory, and if your taxable wages are approaching or have surpassed that threshold. Your tax adviser will be able to tell you if you need to register your business for payroll tax. Payroll tax is generally lodged and paid to state and territory revenue offices monthly. Tip! There are various employer-based exemptions for payroll tax. Check with your tax adviser to find out if your business qualifies for an exemption. From 1 July 2018, if you are purchasing new residential premises or potential residential land you will have to pay the GST directly to the ATO as part of the settlement. These changes will apply to contracts entered into on or after 1 July 2018. The amount of GST hasn’t changed, just who is required to pay the GST to the ATO. You as the purchaser now pays the GST directly to the ATO instead of paying it to the developer as part of the purchase price. You won’t have to register for GST to make this payment. Property developers will need to give written notification to you when you need to withhold an amount for GST. This does not affect sales of existing residential properties or the sales of new or existing commercial properties.